This wedding season has been a busy one, so surprise, surprise ~ no blog posts! I just wanted to really quickly share a few new items that I'm REALLY excited about that I've recently added to my shop. 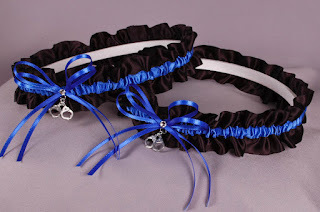 A few months ago, I had a bride contact me about a custom police officer inspired wedding garter. She referred to the "Thin Blue Line," which to be honest, I had never heard of. 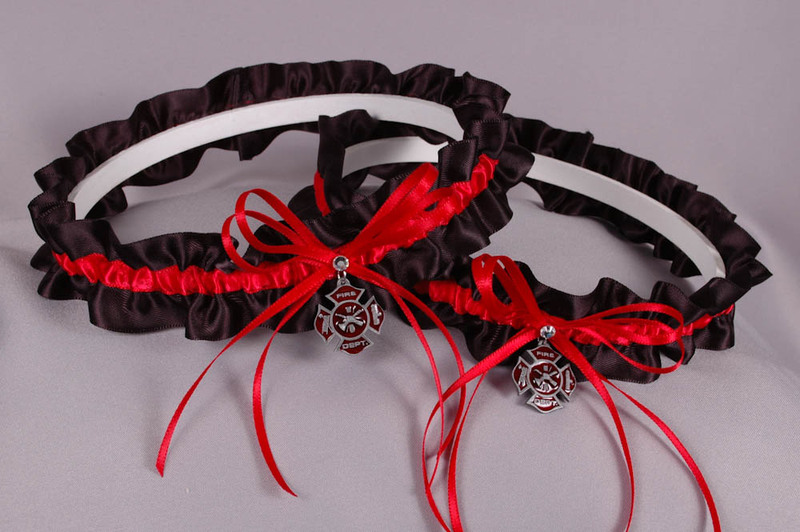 30 seconds on Google, and I had my answer ~ and the perfect design idea for the garter! 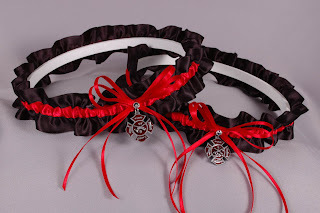 Below is the result ~ I've had it listed in my Etsy shop for a month or so and it's turned out to be a big seller! I would love to hear what you think about these latest designs, and as always, I'm thrilled to hear any new design ideas you might have!